The 2017 Photography Competition is being kindly supported by local businesses. The Friends of Gedling Country would like to thank Castle Rock Brewery for sponsoring the first prize “Willowbrook Award”, The Local Art Shop in Gedling for sponsoring the second prize and the London Camera Exchange in Nottingham for sponsoring the third prize. ​The Friends of Gedling Country Park are sponsoring the prize for the ‘Young Photographer of the Year’. In 2013, Gedling Borough Council obtained a 25 year lease from Harworth Estates, the site owners (and in June 2015, purchased the land outright). This allowed the Council to invest time, money and resources into turning the site into Gedling Country Park. The Council has created new footpaths, installed drainage and fencing, built a new access road and car park. They have supported the Trustees to establish the "Friends" group and involved us in the development of the country park from the outset. Further grants have generously been provided to the Friends in 2016 and 2017 to continue its development activities for the park. In the Co-op's Mapperley store. In November 2017, we were awarded £4,359, which will be used to continue the development of the Memorial Garden. In the Co-op's Gedling Road store. In April 2017, we were awarded £1,498, which will be used for educational purposes when local schools visit the country park. 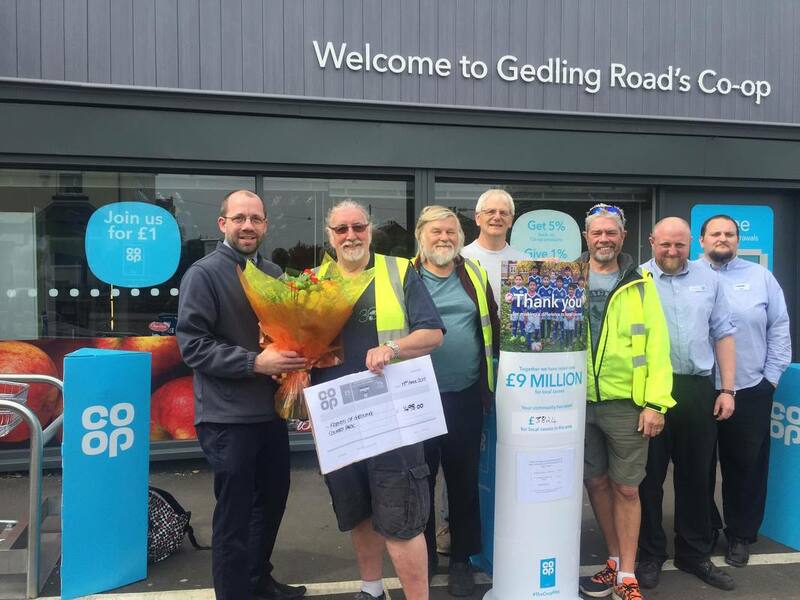 Trustees of FGCP Terry Lock, Brian Osborne, Rod Fillingham and Francis Rodrigues receiving a cheque from the Gedling Rd Co-op. North Midland Construction has kindly donated a large secure storage container to the Friends of Gedling Country Park and installed it into the park. This is used to store the items that the Friends need for their activities in the park. We sincerely thank North Midland for their generous donation and help. The People's Postcode Lottery has provided £1,500 of funding to the Friends of Gedling Country Park through the Postcode Community Trust. This generous grant will be used to purchase equipment to allow us to continue our environmental activities in Gedling Country Park, such as tree planting. It will also contribute towards a range of additional bee hive and honey making equipment and a pagoda for fund raising activities. 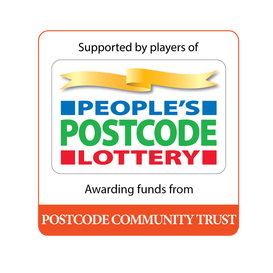 We sincerely thank the players of the Postcode Lottery and the Postcode Community Trust. The Postcode Community Trust is a grant-giving charity funded entirely by players of People’s Postcode Lottery. ​For more information on their funding activities, please see: www.postcodecommunitytrust.org.uk (opens in a new window). ﻿Veolia has provided £961 of funding to the Friends of Gedling Country Park through its EnviroGrant scheme. This generous grant will be used to purchase a honey bee extractor for use with the honey bee hives we have recently installed into Gedling Country Park. The Foresight Group owns and operates the solar farm located within Gedling Country Park. In August 2015, they kindly donated £1,000 to the Friends of Gedling Country Park to purchase 6 new bee hives and associated equipment. These hives will be located securely within the solar farm and maintained by the Friends. The locally produced honey will be sold each year to raise proceeds for the Friends' activities. 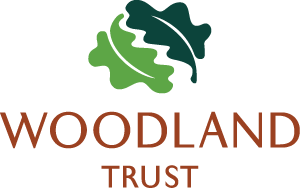 The Woodland Trust has kindly provided a community tree pack of 420 trees to the Friends of Gedling Country Park. This first pack comprises of 105 Rowan, 105 Hawthorne, 75 Hazel, 75 Silver Birch, 45 Dogwood and 15 Wild Cherry trees. The second pack of 420 trees was also planted along the same boundary in March 2016. Magpie Brewery has kindly given a £400 grant to the Friends of Gedling Country Park to fund improvements to the Butterfly Walk, including land levelling and wild flower seed planting for Spring 2016. The company is a independent craft brewer based in Nottingham, who as well as producing real ale also run two pubs: the Crafty Crow opposite Nottingham Castle and the Doctor's Orders in Sherwood near to the Forest Recreation Ground. Gedling based Chameleon Design and Print was founded in 2006 by Mike Tipping. They provide a range of creative solutions and services such as photography, innovative graphic design, web design and promotional clothing, exhibition stands and display products. Chameleon has supported the Friends of Gedling Country Park by producing display products for the group. Brinvale Bird Foods is a small company based in rural Leicestershire that grows and sells wild bird food to customers up and down the country. They have donated their All Seasons Wild Bird Food to the Friends of Gedling Country Park to help us maintain and develop the bird population within the park. Our sincere thanks go to Mr Rob Green of Crimea Farm, Spring Lane for his help and support to the Friends group.